Apple Laptop Repair or Macbook Laptop Repair Solution required? We at Shanti Laptop Service has an expert team to handle your laptop issues. We are an apple laptop repair center provide High Quality services for the customer. 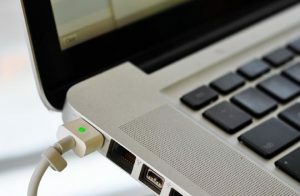 If your Macbook Laptop or Apple Laptop get the issue to bring it to us, we give 100% feedback to your laptop. Apple builds their laptop so perfectly that any nonexperience user can affect the laptop condition. But we have experienced technicians to take care of your Laptop. We Fix Non-Functioning or Damaged, Our expert team can cost-effectively find you an effective replacement, including installation. We have Expert for your Apple Mac book Repair, We handle with care and update of the laptop at any time. Shanti Laptop Repair specializes in Apple Mac laptop repairs and Apple Services. After Diagnosing Issue of the laptop, Estimation of repair can be given. When it comes to Apple Laptop Repair in Mumbai our services are extremely competent. We provide warranty to all the repairs that is being done by us and the fastest turnaround that we offer within same day. As everything is done by professional and experienced personnel, there is no risk of the situation to get worse. If there is any glitch with your MacBook Pro we are here for the Repairs, Fault-Finding & Troubleshooting Service in Mumbai. We deal with repairing with the glitches in MacBook Pro, be it any problem we are here! We are into this for 15 years and we have seen every kind of situation. Therefore you are placing your trust in the right hands!